Arvind Kejriwal has released from Judicial Custody after furnishing a Bail Bond before a Metropolitan Magistrate in Delhi Court today. 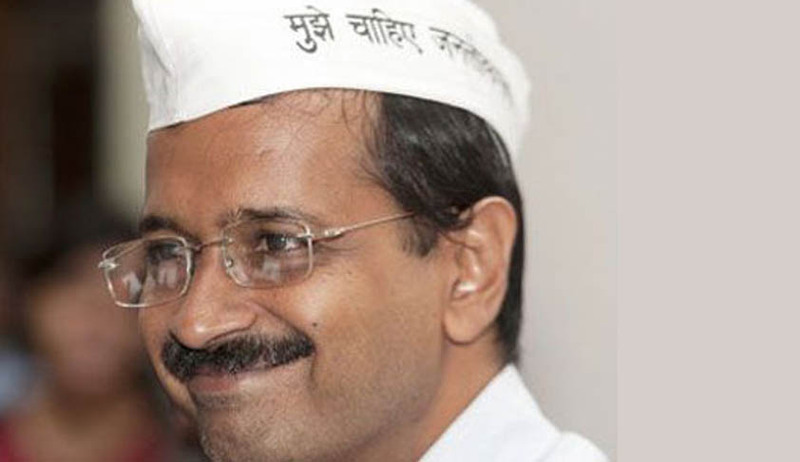 The Court accepted the Bail Bond of Kejriwal filed by his advocate in connection with Nitin Gadkari criminal defamation case and ordered to release him from Tihar jail. Kejriwal was remanded to the Judicial Custody by Metropolitan Magistrate Gomati Manocha by its Order dated 21st May in Nitin Gadkari defamation case after he refused to furnish Bail Bond. Read Report here. Later on May 23rd his Judicial Custody has been extended till 6th June as he refused to furnish Bail Bond once again. Read Report here. Kejriwal, on Monday, filed a petition before The Delhi High Court challenging the May 21 and May 23 Orders of Metropolitan Magistrate remanding Kejriwal. Petition, which sought his immediate release from the jail, raised a question that whether Bail Bond is necessary in Summons Case when accused appears before the Court. Senior advocates Shanti Bhushan and Prashant Bhushan argued that furnishing the Bail Bond is not mandatory and Kejriwal should have been allowed to give a written undertaking instead. During the hearing, the Bench suggested that Kejriwal should furnish Bail Bond first and then challenge the Orders of Magistrate once he is free. Bench said that he can raise whatever legal issues he wants to, once he comes out of jail. Bench further asked Kejriwal that he should not make it a prestige issue. Petition also raised a question that how a habeas corpus applies against a Judicial Order. Petitioner argued that his detention is "totally illegal" as only a person in custody is required to furnish Bail Bond. Senior Advocate Pinky Anand, who appeared for Nitin Gadkari, opposed the habeas corpus plea on the ground that such a petition is not maintainable against Judicial Orders. Advocates, appeared for the Petitioner, Shanti Bhushan and Prashant Bhushan asked the permission of Court to meet the Kejriwal in prison to seek his instruction and to discuss him about Court's suggestion. The Bench allowed them to meet Kejriwal before 1 pm. Taking a U-turn from his defiant stand, Kejriwal furnished Bail Bond and the Magistrate Court ordered his immediate release. Meanwhile, Delhi High Court issued notices to Nitin Gadkari and the Delhi Government seeking their responses on Kejriwal's petition. The Bench has posted the matter for hearing the arguments on the issue of maintainability on July 31.